Heritage Garment Preservation was founded in 2000 to provide expert wedding dress cleaning and museum quality wedding dress preservation to brides in the San Francisco area. The business grew to serve all the United States and a few customers from outside the US (Canada, Australia, England, and Germany, to name a few.) 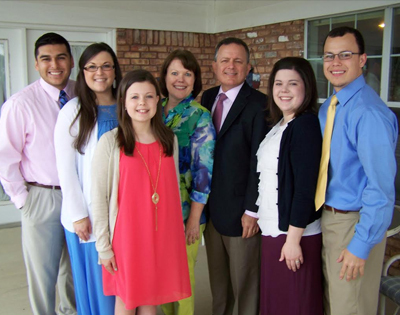 In December of 2016 HGP moved to Tyler Texas and joined with The Cleaning Company, a prestigious dry-cleaner with excellent skills in wedding dress care. Determined to preserve each wedding gown with the best preservation method, Kathy Wright, the business founder did extensive research on garment preservation used by museums, such as the Smithsonian in Washington D. C. and The Victoria and Albert Museum in London. Mrs. Wright also studied various cleaning methods and solvents used by dry-cleaners for bridal gown cleaning to determine the safest and most effective way to clean gowns. All of this research has been compiled into a brief (but quite comprehensive) Wedding Dress Cleaning and Preservation Guide that will help you make an informed decision on your wedding dress care. Over eighteen years and thousands of wedding dresses later, HGP’s commitment to provide the finest care for your heirloom garments has not wavered. We continually research new methods and treatments to clean, restore, protect and give your treasured garment the best possible care. 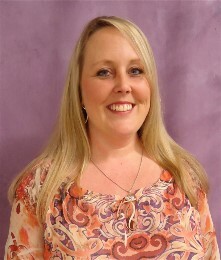 Chanda Camp is the manager of HGP. All our staff treats your wedding gown as if it were their own giving “tender loving care” to every wedding dress. Darryl and Beverly Flynn, the owners of Heritage Garment Preservation and all their staff treat your wedding gown as if it were their own giving “tender loving care” to every garment. Chanda Camp, the manager, is friendly, courteous and knowledgeable. She will gladly assist you with any question or concern you have about your treasured garment. So take a minute and fill out our quote form and we can get started on your gown. Or spend ten minutes and read our Wedding Dress Cleaning and Preservation Guide. 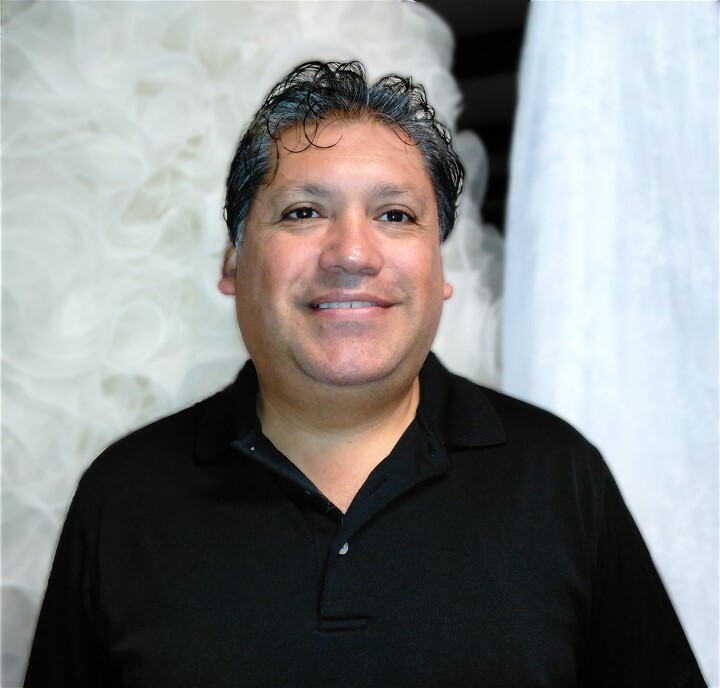 Manuel Olvera is one of our wedding dress cleaning experts. His specialty is silk wedding gown cleaning. The Flynn family is committed to excellent garment care. Let our staff provide expert wedding dress cleaning removing dirt and stains from your gown. Hand wedding dress pressing is available for the best press on your wedding gown. Expert Repairs are available for your wedding dress. All preservation materials are acid-free and lignin-free to protect your gown best from yellowing.